In addition to being enjoyable to play with on the range, PCCs are also becoming popular for more serious play in competition. Though relatively new to the competitive scene, pistol-caliber carbines already have divisions to call home both in the popular 3-Gun Nation (3GN) matches and, provisionally but likely to become permanently, under the United States Practical Shooting Association (USPSA) rules. Read on for both an overview of what you need to get set up to compete in pistol-caliber carbine – PCC – and to find out what some of the most popular guns for competition are right now. Traditionally, 3-gun matches are a mix of rifle, pistol, and shotgun shooting. A pistol-caliber carbine obviously won’t be able to fill in for a shotgun, but it’s not really a rifle or a pistol either. In 3Gun Nation, the PCC divisions substitute a pistol-caliber carbine for the rifle. As you can imagine, that can get a bit tricky given that rifle targets in 3-gun can go out past 500 yards, which is a bit further than pistol calibers are able to travel, even out of longer rifle-length barrels. To account for that, 3GN has created special target-related rules just for PCC shooters. Like all other targets in a 3GN match, each stage will designate certain targets that a competitor either can or must shoot with different guns. Instead of the standard rifle targets in a 3GN match, PCCs only need to shoot to a maximum of 100 yards, with targets no smaller than 12 inches by 12 inches at 100 yards. But watch out for those 99-yard targets! They can be any size. The actual guns used as PCCs must shoot 9mm or larger centerfire pistol calibers, and there are no limitations on accessories in the “Unlimited” PCC division. That means competitors can mount anything they want to the gun, such as optics or bipods. You are even allowed to attach suppressors to your Unlimited PCC, though you should make sure that the shot timer is able to pick up and “hear” shots fired by the suppressed gun. However, in the “Practical” PCC division, PCCs may only have one optical sight, though it can have magnification, and a set of iron sights can also be mounted, but no bipods or similar supports are allowed. Practical PCCs also can’t use suppressors, though any other compensator or brake is permitted. Otherwise, Practical PCC is like Unlimited PCC: 9mm or larger centerfire pistol caliber, any length and capacity magazine, and magazines coupled together are all permitted. Want more details? Make sure you read the most recent version of the 3Gun Nation rulebook yourself. Pistol-caliber carbines might not seem like they belong in pistol competitions, but they are the newest division in United States Practical Shooting Association handgun matches, and can also be found in Steel Challenge under similar equipment rules. With just a few adjustments to how guns are handled during competition. 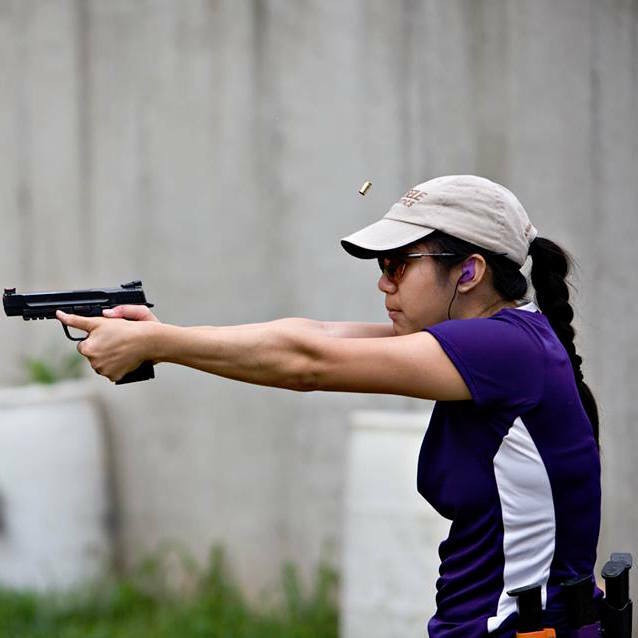 For example, USPSA sometimes requires competitors to shoot with one hand on the pistol – strong-hand only or weak-hand only. Because that is difficult, if not impossible, with a PCC, the substitute is to shoulder the carbine on the appropriate shoulder and use the hand on that side to pull the trigger. The USPSA rules also do not permit uprange starts for PCC, meaning that a PCC competitor will never need to start with his or her back facing the targets and have to turn around before shooting as a pistol competitor would, because PCCs can’t be holstered. Instead, PCCs are transported with visible chamber flags inserted and either muzzle up or muzzle down, per local range rules, if not inside a case. The actual guns for the PCC division must be rifles with shoulder stocks attached – no pistol braces allowed – or one of the handgun conversions that can be legally shouldered. They must be one of the listed pistol calibers, which are the common calibers of 9mm, .357 Sig, .40 S&W, 10mm, and .45 ACP, traveling at specified minimum and maximum velocities. Otherwise, there are few limitations on USPSA PCCs – optical sights, lights, lasers, slings, and compensators or muzzle brakes are all allowed, just not suppressors. Magazines can be any length or capacity so long as they aren’t attached or coupled together. Because PCC is still a provision division in USPSA, some of these rules are continuing to change as the sport gains more experience with integrating PCCs into its matches. If you’re interested in competing in it, you should keep an eye on the rules appendix describing equipment requirements, as well as the rules addendum and best practices document that describe changes to the standard rulebook that are specific to PCC. 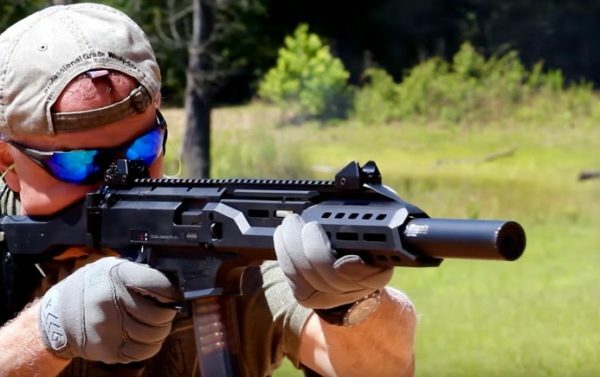 SIG’s MPX is one of the most hotly anticipated guns of the last few years. The SIG SAUER MPX Carbine ($2,016) is a 9mm PCC that looks and operates similarly to a standard AR-15 rifle. And much like an AR-15, there are already a number of factory and aftermarket upgrades and accessories available if you aren’t satisfied with the out-of-the-box experience. In fact, some of the parts available are AR-15 parts that work in the MPX, such as various replacement triggers. Others have been specifically developed for competition purposes, such as magazine wells to make reloading easier and magazine extensions so that more rounds can be loaded at a time. It’s one of the most popular choices out there for good reason, if you can afford the price tag. Another popular choice, and one that is much more budget-friendly, is the CZ Scorpion EVO 3 S1 Carbine ($999.00). They are also upgradeable, though they don’t have quite the aftermarket support for competition that the MPX does…yet. In any case, one of the plus sides of the Scorpion is that it comes ready to run in a match right out of the box. With the MPX, you’re not only paying double at MSRP, you still need to put some sort of sights or an optic on it, but the Scorpion ships with a set of iron sights already. Want to know more? Read our full review of the Scorpion. If you just want to dip your toe into PCC but aren’t ready to commit to buying a whole new gun for it, there’s an option for you too in the Mech Tech Carbine Conversion Unit (CCU) ($435-$499). The CCU is available for most Glocks, Springfield XDs, and 1911s. It installs on top of the frame of your existing pistol so that you can shoot it just like any other rifle, and can then be removed if you want to return the gun to a pistol configuration (yes, it’s legal both ways). That means you also use the magazines you already own, making a CCU a relatively low-risk, low-cost proposition. Due to the cost of magazines, not to mention the hassle of organized storage of lots of different kinds of magazines, being able to use common ones or ones that a competitor might already own makes getting in to PCC less complicated. Of course, conversions like the CCU aren’t the only way to do it. One of the most unique options in this space is the Trojan Firearms PRO9V1-M ($1,550). 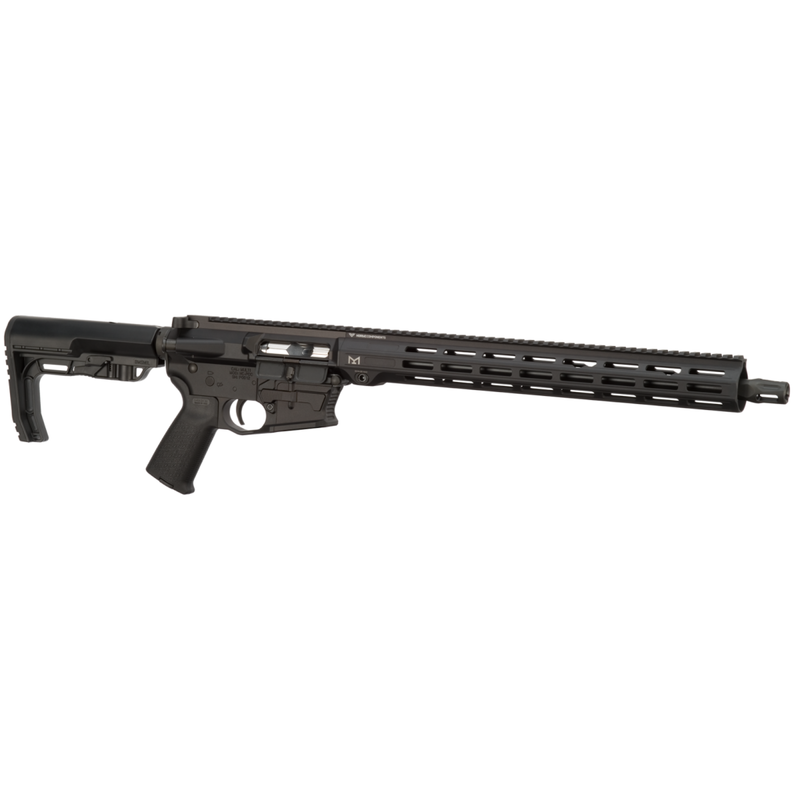 Built from the ground up as a pistol-caliber carbine, it uses standard 2011 pistol magazines. While these magazines are quite expensive, if you have already invested in a 2011 in 9mm, it means you are already halfway to what you need to play in a PCC division. It’s also an advantage in sports like 3GN, where 9mm 2011s are popular pistols, because the competitor can use the same magazines during a stage for both their pistol and their PCC. More likely to be useful to the rest of us are PCCs that use magazines from more popular and affordable pistols. The Nordic Components NCPCC ($1,599) is one of these options, and is unusual in that it is user-configurable to accept either Glock or Smith & Wesson M&P magazines. It is otherwise like most common PCCs and operates like a standard AR-15, with almost all parts interchangeable with standard AR-15s. That makes it easy to set up with your preferred stock, handguard, grip, and even trigger. It’s an excellent option for someone who wants to get off the ground quickly, but keep the flexibility of being able to customize the gun over time as they get more competition experience with it. Quarter Circle’s Pistol Caliber Upper and Lower together makes for a great start to building the ultimate pistol caliber carbine for competition. For the ultimate in a custom PCC, though, Quarter Circle 10 was one of the first manufacturers to release upper and lower receivers specifically for pistol calibers. Their designs are largely based on Glock magazines, though they also make a lower that works with the magazines for the Colt and CMMG takes on the PCC. Outside of a few proprietary parts necessary to make the rifle function with pistol-caliber ammunition (and that are included with the receivers), you can build your own just like any other AR-15. These aren’t the only options in the PCC world, just a sampling of popular choices that have been made in the competition arena. A more complete list can be found on the Brian Enos forums, one of the best discussion forums for competitive shooters, and offerings new this year and without a lot of data yet are summarized by Michael Bane. So, are you ready to play? Whether you’re a seasoned competitor, looking for a way to dip your toe in with a brand new sport or division where everyone is on a learning curve, or just want to practice with your shiny new home-defense PCC, pistol-caliber carbine competition might be for you. Try it out, and report back! I have also used the Mech Tech in 9mm, it works great and accepts Glock magazines. It has very competitive price and is an excellent value. 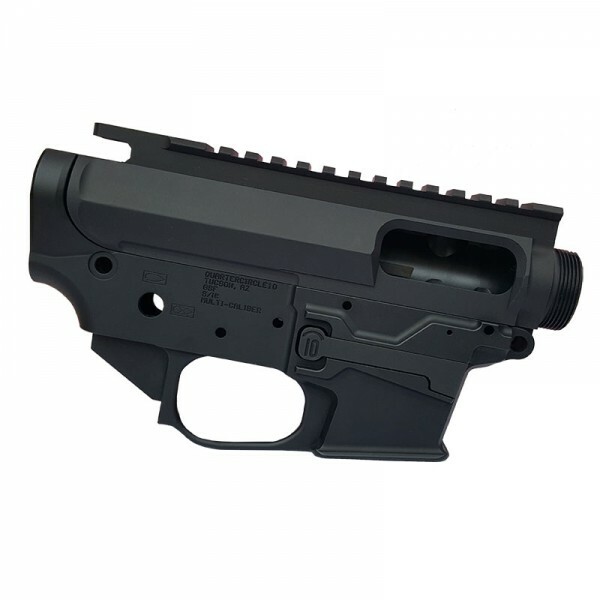 New Frontier Armory out of Las Vegas makes upper and lowers for PCC. They have quality parts and are very price competitive. Trojan Arm’s PCC has a version that takes Glock magazines, so you go from super expensive 2011 mags to ubiquitous Glock mags, win/win! So, the most popular competition PCC platform (JP GMR) as determined by USPSA optics national survey is not even on the list?